In 2004, author and speaker Anthony “Tony” Robbins asked Josh Thompson, a local businessman, the question that would birth Hands Up Foundation; “What are you doing for others?” Josh realized that he wasn’t asking about how he treated his employees or whether or not he was taking care of his family, but about his community. A lightbulb went off, and he asked Tony if he could copy his model of buying Thanksgiving turkeys for families in need in the community that fall. Tony agreed, but Josh knew that he wanted to do more. 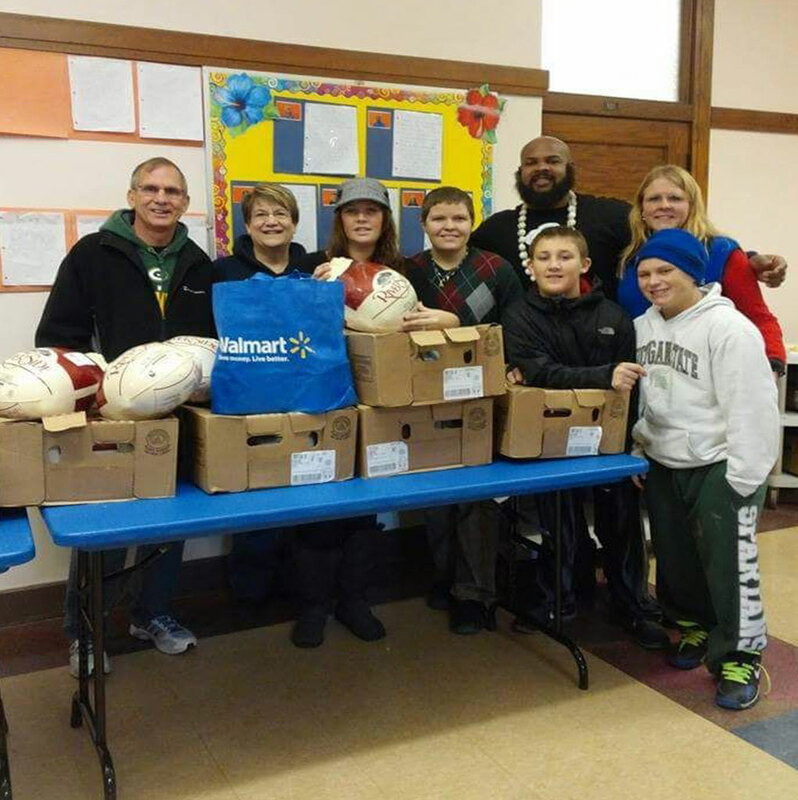 That November, Josh and his family went to Meijer and bought full Thanksgiving meals with all the fixings for two families, vowing to double the families reached each year. In 2013, after 11 years of being self-funded, Josh partnered with Todd “TJ” Duckett, founder of nonprofit New World Flood to join forces and continue helping more people. gained the support of many local businesses to further the vision of Hands Up Foundation; that we’re able to give people in need a hand up, not just a hand out.